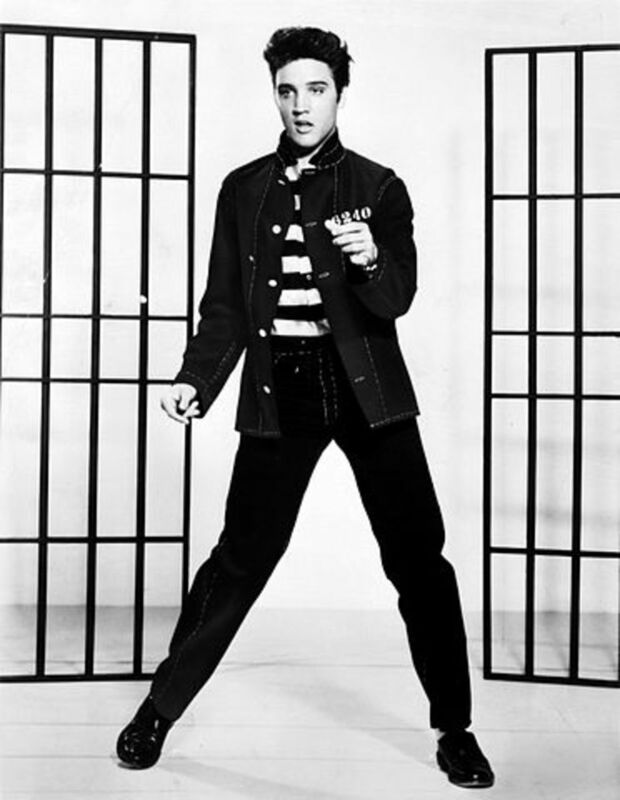 Elvis spent a considerable amount of time in America's 50th state, Hawaii. It was the setting for two of his largest concerts, for three of his movies, and his favorite choice for spending his vacation time. In 1960 Elvis had also had a benefit concert to raise funds for the ships sunk at Pearl Harbor. 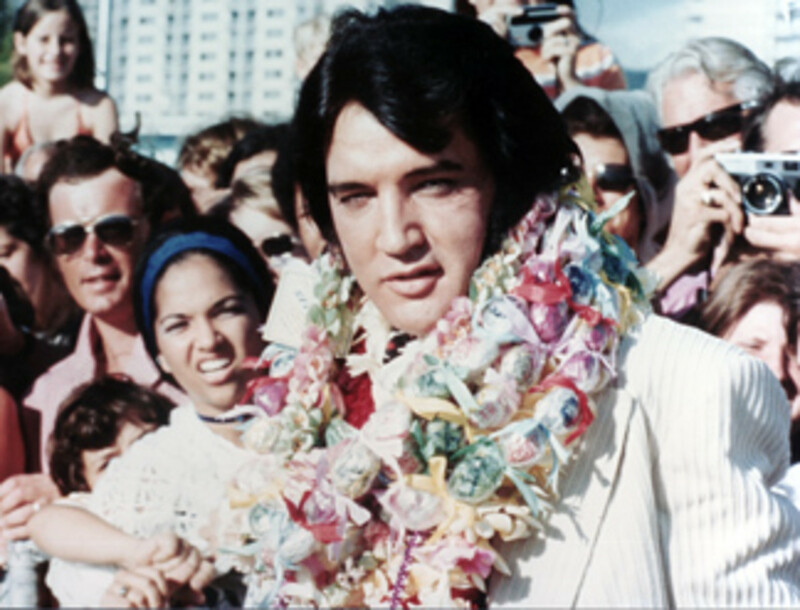 Elvis Presley used the Polynesian Cultural Center in Laie, Hawaii, as a backdrop when he partially filmed his 1966 movie, Paradise Hawaiian Style . We live very close to the Polynesian Cultural Center, and there is a tribute to him there. 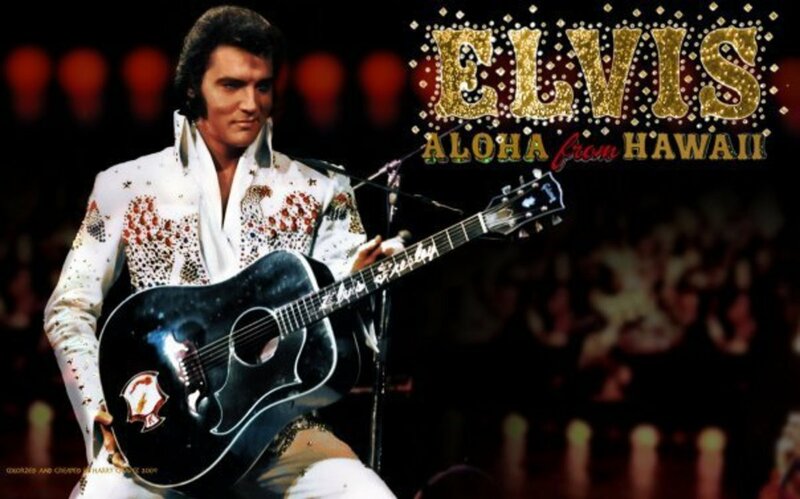 Elvis' concert, Aloha from Hawaii, had the record at the time of being the most watched broadcast of an individual entertainer in TV history. This concert was broadcast to over forty countries in Europe and Asia. It cost 2.5 million dollars and was the most expensive TV special during that time. The concert was at the International Convention Center, which is now known as the Blaisdell Arena. There is a statue of Elvis at the Blaisdell Arena in Honolulu. The Aloha From Hawaii concert was the vision of Colonel Tom Parker, Elvis' manager. He had been inspired by a recent trip made by President Richard Nixon to China. Instead of taking Elvis to all the various countries, he decided to broadcast it from Hawaii. It is reported that Elvis lost 25 pounds for the show and it catapulted his record sales and Elvis was also nominated for a Golden Globe. 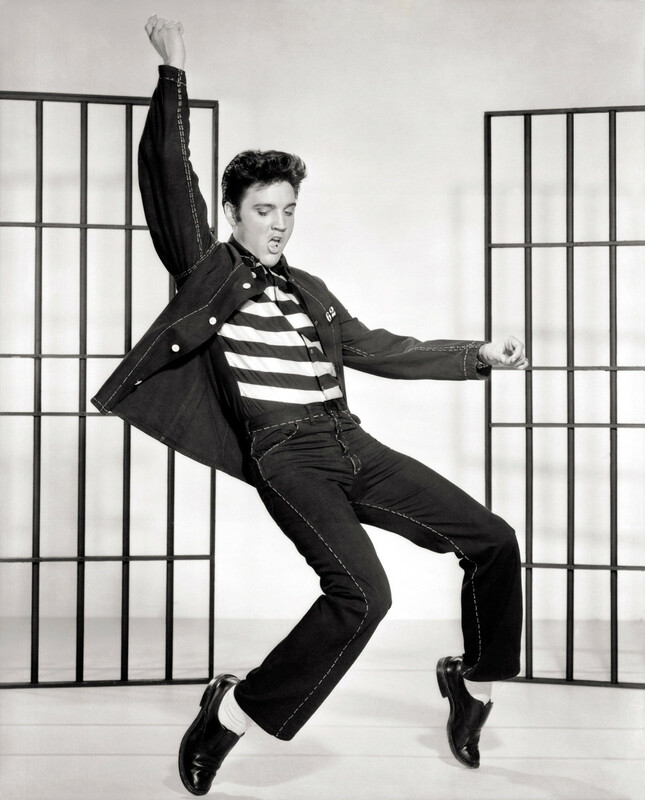 Elvis dressed in his well-known "American Eagle jumpsuit". It was his patriotic message to the world. There was no charge for the concert, but donations were encouraged. $75,000 was raised and donated to the Kui Lee Cancer Fund in Hawaii (Lee was a Hawaiian composer who died in his thirties). Elvis' concert was reported to have been seen by more US households than man's first walk on the moon. It was said of Elvis that he was at his peak form vocally and physically during Aloha From Hawaii, and may have been the greatest moment of his career. I have spoken to a few people who were here when Elvis was filming his movies and gave his concert. I wish I had been here to see him for myself! That is cool pmccray. Wish I had been with you at the concert. Glad to stir your fun memories of Elvis. Aloha! I paid money to see him at the movies and a friend of mine and I spent 2 hours on the phone while watching his Hawaii concert. Excellent hub, thanks so much for the memories. Thanks LianaK. I agree totally with your comments. Me too kittythedreamer. I love Elvis and so happy he loved Hawaii. Thanks for commenting. Hope you can visit soon. i am an ENORMOUS elvis fan...and hawaii was the perfect place for him! i've never been to hawaii but reading this hub makes me want to visit even more. thank you! Beautiful hub! I am in a younger generation than Elvis, but I still grew up listening to his music. Truly--there is no one who has ever replaced him. He is the King of Rock and Roll for sure! Love his music. Thanks for all the links to his music. I love that he came to Hawaii :). So fun! I appreciate your vote of confidence PegCole17. Glad you liked it. elayne001 - Elvis was a great man. Loved this hub. Rated awesome and linked it to mine. Enjoyable read. The so called Colonel Parker which I believe wasn't even his real name was illigal in the USA and therefore he didn't dare taking Elvis for a tour round the world. He feared, that he wasn't allowed back. There is a lot oa dark points and I thought after Elvis and Parker's death it would have been open up but apparently not. 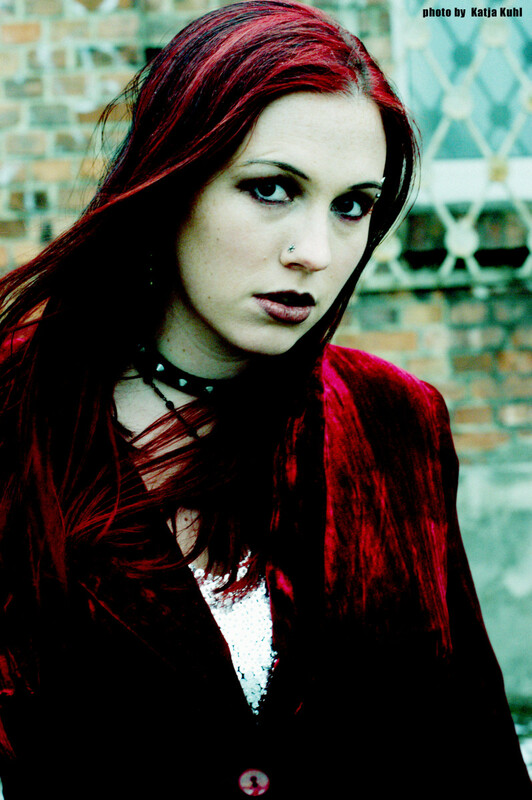 Thanks Pamela99. Elvis is one of my favorites also, as you can tell. It makes it more special for me since he came to Hawaii and enjoyed it. I love hearing Elvis since the first song he sang. I think you're hub was terrific. To me Elvis will always be King. Maybe you have another you prefer universalcable - I guess I am much older than you, so perhaps different eras have different Kings. I agree with you diogenes. Some managers seem to only look out for themselves. Theroux currently divides his time between Cape Cod and Hawaii, where he lives with his second wife. Theroux also claims to have taken up his second profession: beekeeping. Theroux sells his honey under the brand name Oceania Ranch Pure Hawaiian Honey. Yes, I never tire for listening to his songs. Others try, but lack the depth of feeling Elvis gives his songs. Thanks Aris for your comments. Listen to his songs is nostalgia, lovely video, thanks elayne001 for the "can't falling in love"
How can you be sure Elvis is truly King? YOu need to be sure of yourself. I agree drbj. Elvis is truly the King! You said it all. Elvis became famous not just because of his pleasant voice and his theatrical gestures, but because when he sang and when he acted, you could see and feel his genuine 'good heart.' Thanks for the great videos. That's one of my favorite songs moncrieff. Noone can sing it quite like Elvis. Thanks for commenting. Glad you enjoyed it dtchosen. Yes, Elvis and his music are timeless. Thanks for stopping by. Nice hub, Elvis is not in my generation but I like him and the Beatles. Thanks for this nice hub. Great hub!! I know that Elvis performed Kui Lee's song 'I'll Remember You' at that concert, one of my alltime favorite songs!